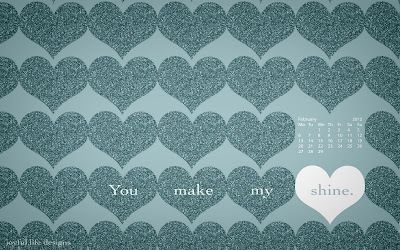 Here is a new desktop background for February 2012. It has a rich, glittery, Valentine's Day theme and I'm calling it "Shine". There's even a February 2012 calendar if you need to take a quick peek at the date! You'll make my heart shine...like you usually do... if you leave me a comment to let me know how it looks on your screen! You may need to work with your desktop background image settings to get it just right, but if you need a size that isn't shown below let me know and I will add it to the list. Open the link and right click on the image to save or apply as desktop image. Make sure the image size on flickr is set to "Original" so you are getting the highest quality.